The most wonderful time of the year is approaching, which means you’re probably starting to think about all your holiday plans. Who will host Christmas dinner? What will you buy for your kids? And, of course, when and where will you buy your Christmas tree? Depending on where you live, you might not have any nearby Christmas tree farms where you can purchase a beautiful evergreen tree. If this is the case, don’t fret! Many retailers carry both live and artificial Christmas trees that will look stunning as the focal point of your holiday decorations. As you consider the following places to buy a Christmas tree, think about what size tree you want, how you’re going to transport it, and how much you’re willing to spend. 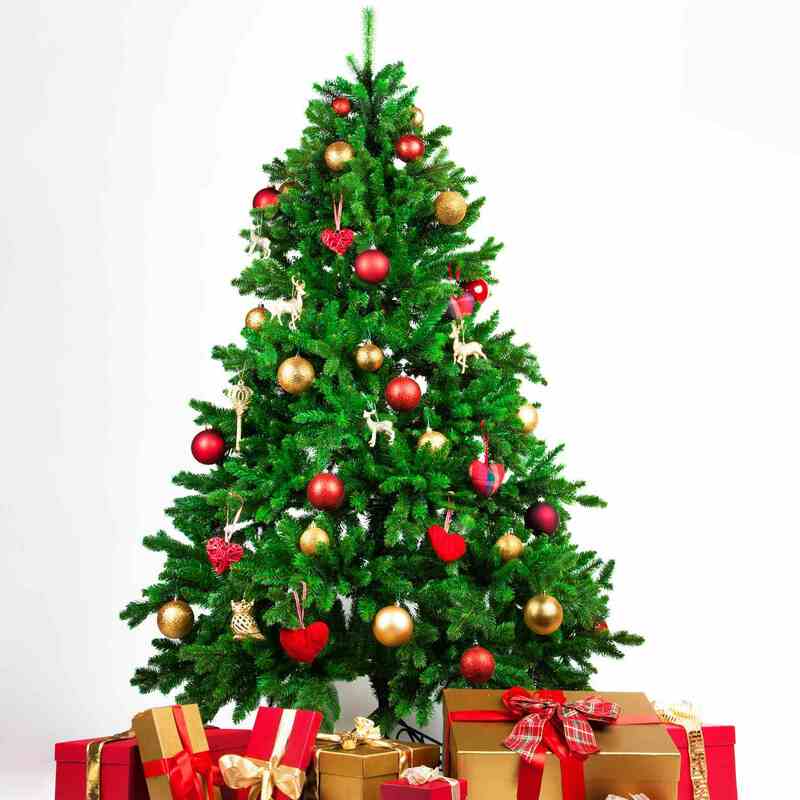 These factors will help you determine the best place to shop for a Christmas tree. Home improvement stores are one of the best places to buy both real and artificial Christmas trees. Come the holiday season, your local Lowe’s will have a wide selection of trees, and what’s even better is that they provide a number of free prep services to help you get the tree home. When buying a real Christmas tree at Lowe’s, you’ll be able to choose from a wide range of sizes, starting with small 3-foot options to huge 12-foot trees. They also typically stock several types of Christmas trees, including Balsam Fir, Fraser Fir, and Douglas Fir varieties. This allows you to get the look and feel you desire from your tree. The prices of Christmas trees at Lowe’s start at around $30 and go up, depending on the size you want. When you buy a tree in-store, this big retailer will typically wrap the tree in netting for you, making transport easier, as well as cut the stem to allow the tree to more readily take up water. Plus, they’ll likely get new shipments of trees in on a regular basis, ensuring you get an amazing tree, even if you wait until later in the season to shop. Additionally, Lowe’s carries a wide variety of artificial Christmas trees in a number of shapes and sizes. No matter whether you’re going real or faux, this retailer is one of the best places to shop for your Christmas centerpiece. When the holiday season arrives, you'll be able to find an impressive selection of Christmas trees at Home Depot. This retailer sets up “Christmas tree lots” in its garden section every year, where it offers a wide variety of tree options, as well as helpful preparation services. At Home Depot, you'll find Christmas trees of varying sizes, including both small, apartment-friendly options and large, towering trees. They also typically carry several kinds of Christmas trees, giving you options when it comes to the look and feel of this essential decoration. Similar to Lowe's, Home Depot offers a number of free preparation services to make shopping for Christmas tree easier. They will cut the stem of the tree you pick, as well as net it and help you secure it to the top of your car. Plus, they got weekly deliveries of new trees, ensuring there's always a healthy selection for you to choose from. Home Depot is also a great place to shop if you're looking for an artificial Christmas tree, as these big stores carry many holiday products in various shapes, sizes, and styles. You’ll be able to find both slim and full-size options, as well as trees with built-in lights that make decorating a breeze. It's no secret that Walmart sells just about everything, and that includes Christmas trees. You can buy a variety of affordable live and artificial Christmas trees from this retailer—you can even get them delivered if you can't make it to a physical store. These huge retail stores typically set up their live Christmas trees either in the garden section or in the parking lot, and prices start as low as $20 for smaller trees. Walmart generally sells trees wrapped up, so you don't get to see exactly what you're buying, but you can’t beat their low prices! Alternatively, you can buy a live Christmas tree from Walmart online, having it delivered right to your doorstep. While undeniably convenient, this service does cost more, Christmas trees are bulky and heavy to ship. Walmart is also a great place to shop if you're looking for an affordable artificial Christmas tree, as it carries a wide selection of models, from small, budget-friendly options to taller, pre-decorated products. Your local Ace Hardware will likely stock a variety of Christmas trees during the holiday season, and the prices are surprisingly affordable considering the smaller nature of this retailer. Most Ace Hardware stores set up tree lots during the holiday season, carrying a variety of sizes and styles for you to choose from. This is a good place to shop if you want to see the tree unwrapped before you buy, and many stores will also help with prep services, cutting the stem and helping you load the tree onto your car. In years past, 6- to 7-foot trees at Ace Hardware cost around $40, but if you’re patient, you can often find a coupon later in the season that will allow you to get a fresh Christmas tree for less. While it may not be the first place you think to shop for a Christmas tree, many Whole Foods locations offer a selection of live trees in their parking lots when the holiday season arrives. This grocery store typically sells Fraser Firs that are sourced from family-owned farms, and they often have initiatives that ensure new trees are planted for all the ones they cut down. Whole Foods typically doesn't have the same selection as big home improvement stores, but you can rest assured you're going to get a beautiful, family-grown tree. The trees are already wrapped, so you don't get to see what they look like in their full glory before you buy, but the price is definitely right, as it usually only costs around $40 for a full-size tree. Depending on where you live, your local Whole Foods may also have table-top trees for sale, as well. If you want to feel good about reducing your environmental impact during the holidays, Whole Foods is a great place to shop, as they generally partner with nonprofits such as American Forest to ensure new trees are planted in place of the ones they sell. You can get a great deal on a Christmas tree if you have a membership to your local Costco. Many of these wholesale stores sell Douglas Firs and other popular Christmas tree varieties during the holiday season, and people rave about the affordable prices for a quality tree. You can often get a 7- or 8-foot live Christmas tree for around $30 at Costco—a great deal by any standard. The downside is that the trees are already wrapped up, so you can't see exactly how it looks. If you're looking for an oversized artificial Christmas tree, be sure to check out your local Costco, as they sell models as tall as 15 feet! These towering decorations don't come cheap, but since they're fake, they’ll last for many years. Believe it or not, online retailer Amazon recently announced it will be selling live Christmas trees, as well as wreaths and garlands, this year. You'll be able to purchase a 7-foot live tree from the online marketplace starting in November, having it delivered right to your doorstep. According to the company’s announcement, there will be Douglas Firs, Fraser Firs, and Norfolk Island Pines available. The trees will be wrapped up and shipped without water, but they're supposed to be fresh, shipping within 10 days of being cut. Some purchases may qualify for free Prime shipping, and you can also pre-order your tree and choose an exact delivery date. The service will likely run you $100 or more, but for many, it may be worth the additional convenience of not having to go out and transport a tree yourself. Thanks to its low prices and wine selection, Amazon is also a great place to shop for a variety of artificial trees and other Christmas decorations. While live Christmas trees are undeniably beautiful, they also require a lot of maintenance. If you prefer a tree you don't have to worry about, you may be better off with an artificial option. This case, you should definitely check out the selection at Target—you’ll find a wide variety of faux Christmas tree styles, including both realistic and more stylish options. Artificial trees at Target in a wide range of sizes, from tabletop models to 9-foot options. 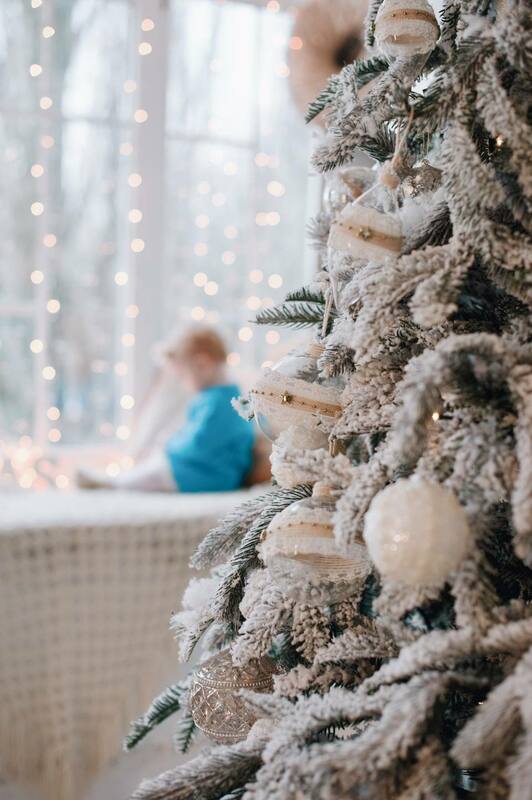 You can choose an artificial tree that you decorate by hand, or others come with built-in lights that will save you the hassle of unraveling twisted strands. There are both slim and thick trees available, and you can even find “fashionable” options, such as white or pink trees!